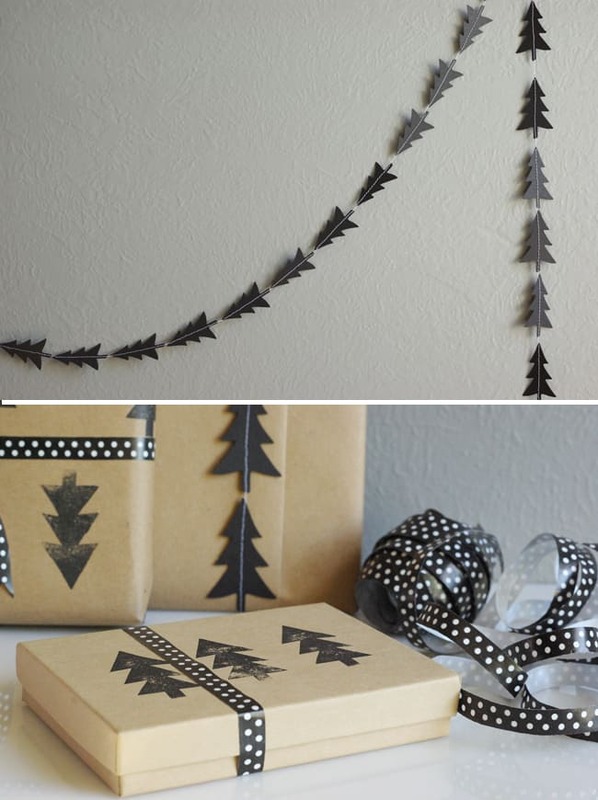 Cut out lots of tree templates using black paper card. Use your old-fashioned scissors or your job could be made easy by using a Cricut machine. Sew these trees by using a sewing machine in the following pattern. White thread is used to create a contrast, but black would also do to give an effect of floating trees. 3. 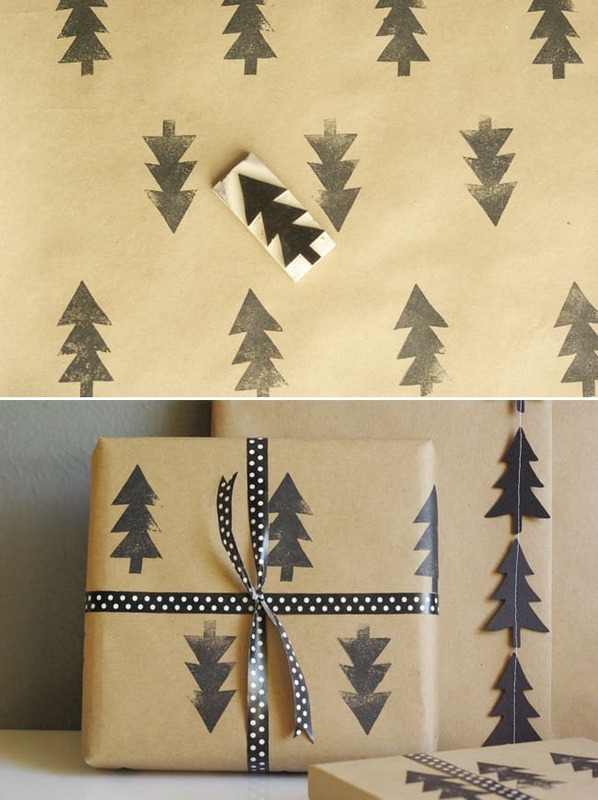 To make a matching wrapping paper sketch the shape of a tree on a basic 2-inch rubber eraser. 4. Using a simple balck stamp ink pad, print the paper in your own creative way. 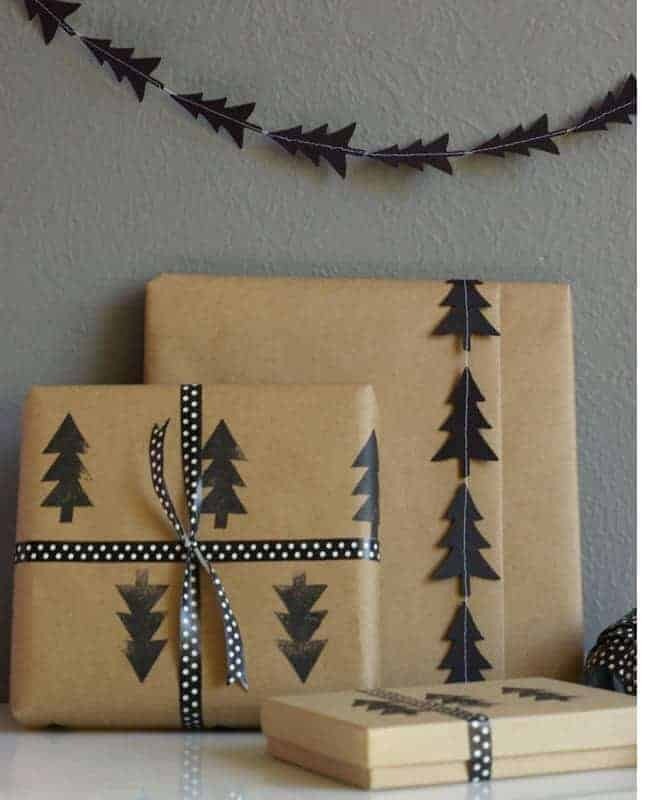 Wrap up your gifts with this hand printed paper with the tree garland and you are good to please someone you love!!!!! !